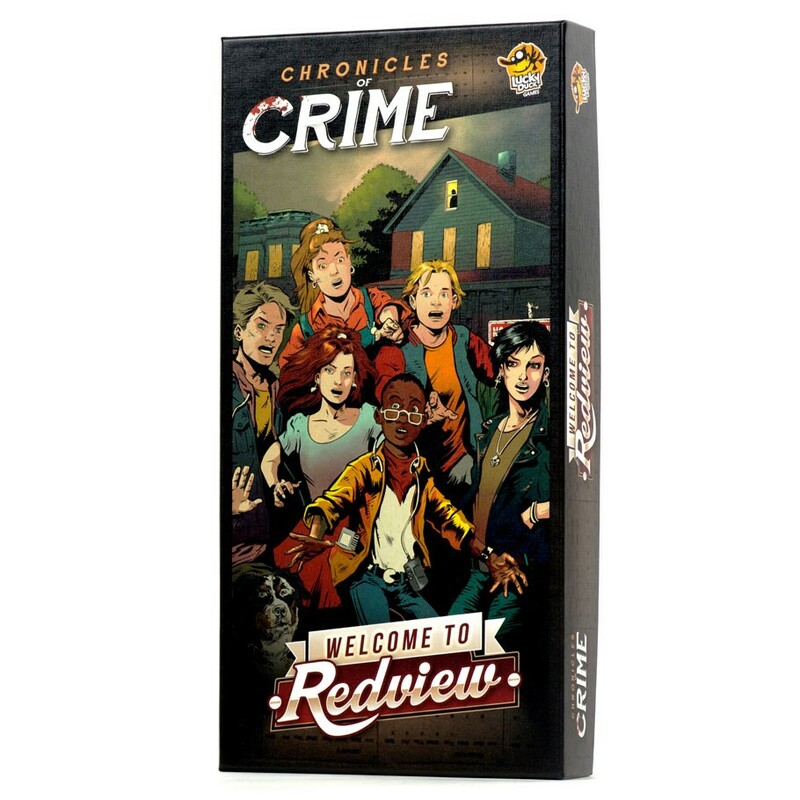 ACD Distribution Newsline: Chronicles of Crime: Redview! New from Lucky Duck Games! Chronicles of Crime: Redview! New from Lucky Duck Games! Redview. It's always been a small and seemingly quiet American town, but it's a hot summer in 1985, and weird things have started to happen. You and your friends want to understand what's going on. You call yourselves the Redview Mystery Gang, and it won't be a lazy summer for you, young detectives.